John Mayer may be today’s most skilled guitarist and recording artist. While his songs may be top 40, his skills impress guitarists everywhere. 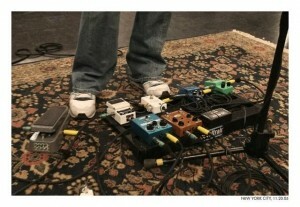 No doubt a guitarist like John Mayer pays a lot of attention to his sound, and that includes pedals. This is actually putting it lightly, as he is known to have hundreds of pedals. So what makes a John Mayer pedalboard over the past few years? 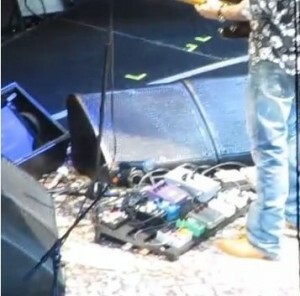 Below you will find three different “eras” of the John Mayer pedalboard. These three lists represent generally what is though to be on his pedalboard, compiled through pictures and online discussions. Of course, each tour, even live performance, could contain a modified version of what is seen below, especially for small set performances, where only the essentials could be present. Before looking over the contents of John Mayer’s pedalboards, keep this handy list of coupon codes to buy the pedals currently on the market. This John Mayer pedalboard was uncovered in a feature in a Japanese guitar magazine, which dates back to at least 2008. The video below the table is the source of this John Mayer pedalboard listing. It features a great interview with his guitar tech and is a must-watch. John has been slimming down his pedalboard on his most recent Crossroads tour. Instead of a rack full of effects, most seems to be kept right on the floor, with many of his staple pedals (though the new Q-Tron seems to be very new effect for him).